7 AM call time makes for a really long day. But, we didn't stay for awards or it could have been even longer. 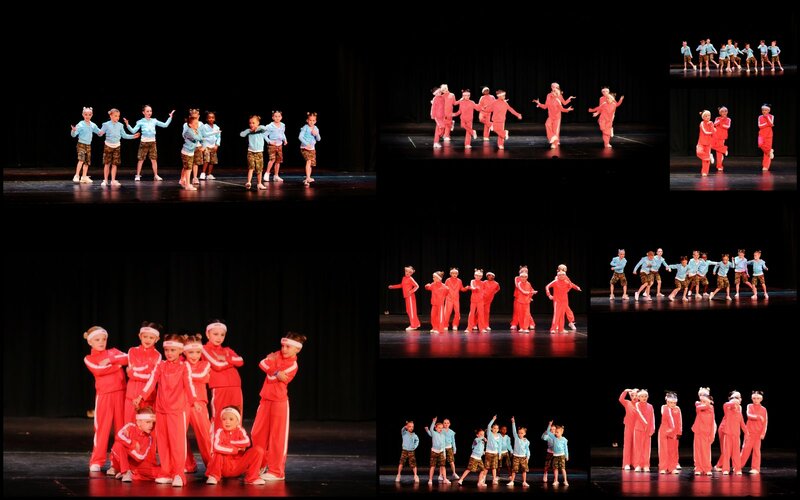 The first collage is of Jade's two hip hop numbers. This time I didn't focus specifically on taking pictures of her but rather of the whole group. 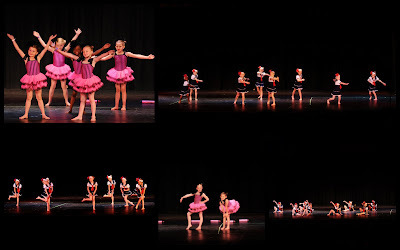 I was pretty happy with the pictures that I got, despite my hand tremor. The second collage is from Jade's ballroom number. This collage is of Ivy's two numbers. This time yellow polka dot bikini won overall. The girls messed up on Teddy Bear. One of the little girls didn't go on stage and it sort of threw the rest of the girls. 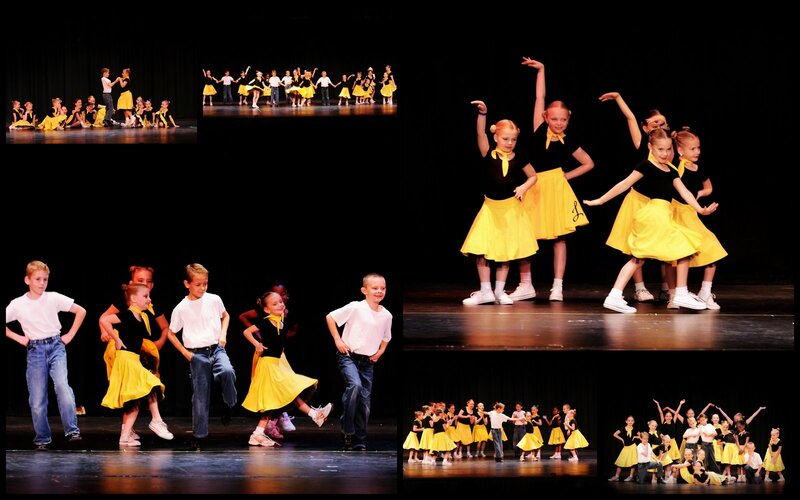 See, the little girl that didn't go out is one of the older and stronger dancers. So I think the other girls look to her for prompts. 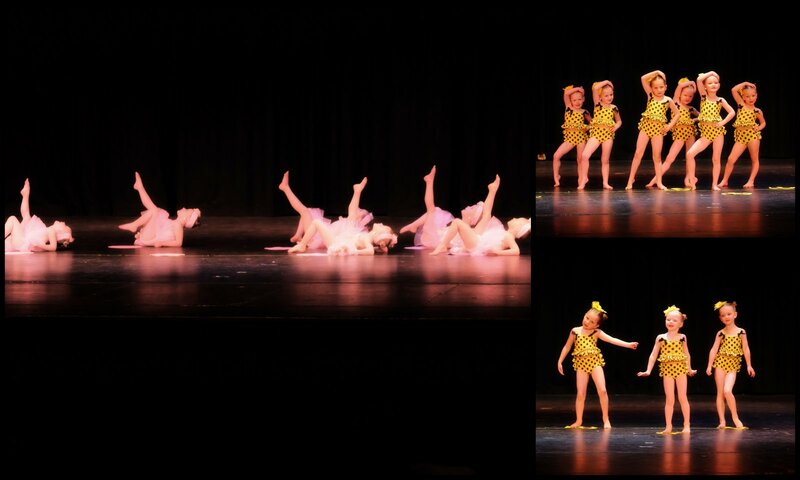 Then the last of the collages is of Jade's Jazz numbers. She did great but needs to remember to look up. 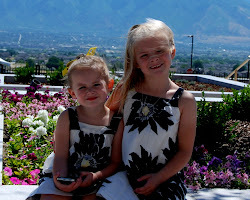 These photos and the little girls are adorable. It's obvious that these performances are as fun for the dancers as they are for the audience.